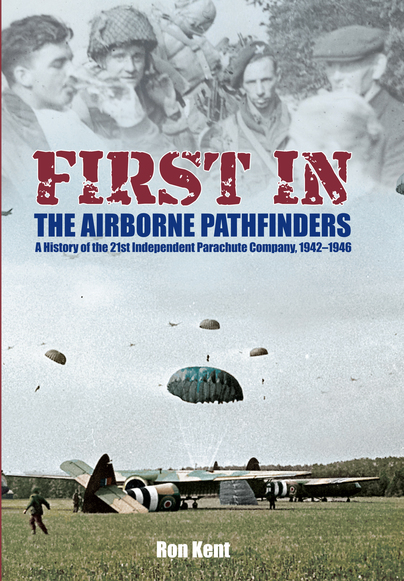 You'll be £8.00 closer to your next £10.00 credit when you purchase First In: The Airborne Pathfinders. What's this? They were volunteers to a man. These were the airborne troops who dropped into enemy territory ahead of any others, pinpointing the Drop Zone by means of a radio marker. They would then prepare the ground for the main forces that would follow. Once they had marked out the Drop Zones, they then had to defend them, whatever the odds. The volunteers had to pass exacting physical and psychological tests before they could join this elite force. These were the men of the 21st Independent Parachute Company, which was part of the Parachute Regiment, and this is their story, told by one of that unique band, then Sergeant, Ron Kent. The 21st Independent Parachute Company operated in North Africa, Sicily, Italy, Norway, France, as well as the largest airborne operation ever mounted, Market Garden. In compiling this account of the 'Pathfinders', Ron Kent contacted survivors of his company to provide the first comprehensive history of a unit that General Browning told its commanding officer, Major Wilson, was 'unsurpassed by any other in the world'. The short history of paratroops leaves many areas inadequately covered by historians. This book reviews one specialist unit within the British Parachute Forces. This account is illuminating because it not only provides a very welcome history of the unit, but sheds light on some of their specialist missions – Highly Recommended. This first hand experience come across well in the narrative and links the accounts across many of the other pathfinder veterans. Certainly worth a read. This hard-cover book is a new edition of a title first published way back in 1979. Written by a veteran, a member of the company, the author Ron Kent passed away in October 2005. If you have not seen the book before, then this is well worth reading. Once again this is the story of the men who were members of a particular unit and their story of training and combat. It is not a tale of high level commanders and strategy, but the men and their experiences in a very specialist unit. It was tough to complete the training as a Paratrooper and clearly even more so to be selected for the specialist role of a Pathfinder. They would need to go in before the main drop and mark the landing zones for the following aircraft. Using a mix of visual signs and a Eureka beacon. It also meant some of them had to carry the heavy equipment bags when they jumped. The story tells the detail of personalities along with their training and then travel to North Africa, where they were set to take part in the invasion of Sicily. This was not a great success, as the aircrews carrying them were not trained to work on such a pinpoint role and their commander was among those shot down and killed. Once withdrawn they next moved and with more success took part in the fighting in Italy itself before being returned to the UK, leaving just one platoon to remain in Italy until later in the war. The unit was not involved in the Normandy invasion, but went through preparations for a number of other planned drops which were all cancelled, some even when they were on board the planes, before actually going into action at Arnhem. The Pathfinders carried out their role successfully but had to remain with the rest of the 1st Airborne Division and this tells their story of the battle and subsequent withdrawal across the river. Additional work for them is recorded in Greece, where they found themselves caught between two rival groups fighting for control over the now liberated country. This police role is one they had to repeat in Palestine prior to their final disbanding. In between these two there was a mission into Norway to deal with the surrender of German forces there following the main German surrender. There could have been more fighting, but they got there to find well disciplined German units all ready to surrender so the troops were able to enjoy the warm reception they got from the liberated Norwegian population. A really interesting story and told by one of the men who experienced it all himself. It is good I think that this has been republished and brought to a wide new generation of readers to learn the history of a specialist unit such as the Pathfinders. A fine history of the 21st Independent Parachute Company. Airborne action is always interesting and the Independent Company was at the forefront of the British 1st Airborne Division, and the reprint of this book is a welcome addition to the literature of the airborne forces of the Second World War. Ronald ‘Ron’ James Kent was born in 1921 in Hastings, Sussex, joining the Royal Sussex Regiment at the age of 19. In 1942 he was selected for training as a parachutist with the formation of the 21st Independent Parachute Pathfinder Company, a unit in which he served until demobilisation in 1946.